Moving a family is always difficult, and cross country moving with pets presents another set of challenges. 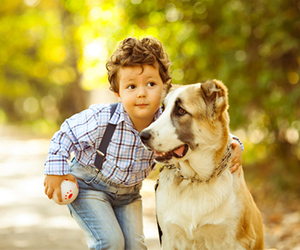 Not only do all of your belongings have to be packed and your children given plenty of proper attention to feel secure during the transition, but there’s one member of the family that will need more than words of reassurance: your pet. Different kinds of pets have different needs when it comes to travel. That said, there are some key steps you can take when moving with pets to make sure the experience on moving day is as smooth as possible. Update Vaccines and Records: Make sure your pet is up to date on all required vaccines and has updated tags and paperwork. Many hotels and boarding facilities will require this, and even if you aren’t planning on staying the night anywhere, you’ll want to be prepared for anything. Call Hotels Ahead of Time: Speaking of hotels, be sure to contact any hotels you might be staying at regarding their pet policy. National chains sometimes have general policies, but it’s always wise to inform your hotel to be sure you get a pet-friendly room. Pack Travel Supplies: Make sure some of your pet’s toys, food, treats, and medications are easily available and on you at all times. When moving with dogs and cats, you can do a lot before the move to prepare your pets. Be sure to familiarize them with their crates and, if they aren’t used to car travel, take them on quick trips to help them feel safe. Crate your dogs and cats both in the old home and in your new one while your intestate movers are working, and be sure to inspect your new space before letting cats and dogs roam free. Keep small mammals in their crates with plenty of food and water, and remember that when moving with pets to pay attention to extreme temperature changes that can difficult on small and aquatic creatures. Reptiles and amphibians often require certain temperatures, so it’s best to move when climates are mild to keep them healthy. Some fish can survive air travel in special oxidized water bags, but it’s always safest to ship expensive fish separately. If you’re not sure what to do with when moving with pets, consider hiring a moving company like Red Ball. Our experienced team of relocation specialists will customize your moving experience and make sure everything that’s most precious—including your pets—arrive safe and sound at your new home. Fill out the Free Moving Quote today!